The F-86 Sabre is a Korean war vintage design that first flew in 1948. 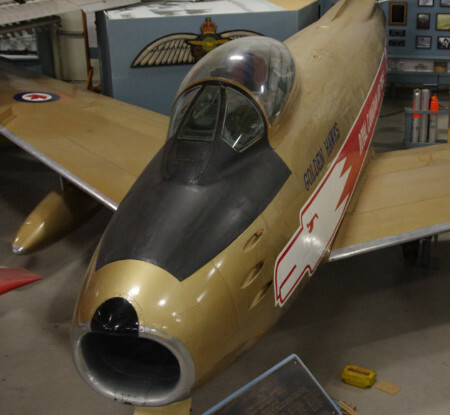 Designed by North American Aviation the Canadian Sabres were built by Canadair. The RCAF acquired Sabres starting in 1958 and many continue to fly in private hands on the air show circuit. 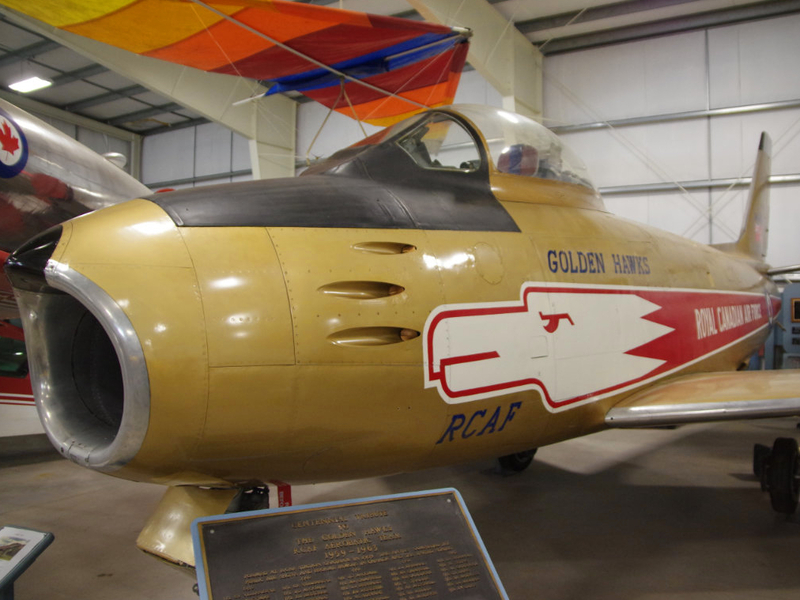 The Museum’s example is painted in the colours of The Golden Hawks display team that operated between 1959 and 1963. 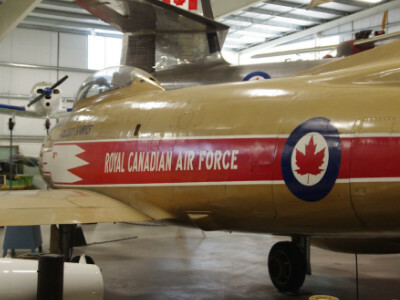 Although our aircraft never served with the Hawks it was placed on display at CFB Chatham, New Brunswick, the former home of the team, for many years in the team’s colours as a tribute. Upon closing of CFB Chatham the Air Force was looking to place the Sabre in a museum and we were able to take possession of the aircraft and put it on display.